In Part 1, I described in broad strokes my computer gaming experience prior to 2012. I left out a few bits, like how I beat Pokemon Blue and Yellow on a Gameboy emulator in grad school, but here's the essence: my "modern" computer gaming experience was pretty much just City of Heroes. I'd messed around with arcade games and friends' console and PC games here and there, but between 1988 and 2008 I did very little serious computer gaming. And then I played a single MMO very very intensively for four and a half years, only to have it yanked out from under me. yay.tim.org port 5440, come for the foof, stay for the yay! 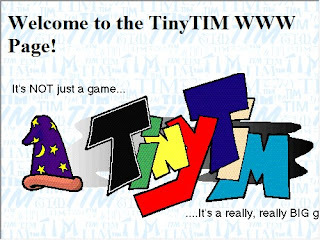 There was no going back to text-based games, most of the ones I'd played were gone by that point, and the few that were left, like TinyTIM, were really just online hangouts rather than games per se. For a while I did have the time to do a lot more tabletop stuff (I was unemployed in the 2012-13 school year but had a lot of moderator points with Privateer Press from moderating their Monsterpocalypse boards, so I got into Warmachine by cashing in years' worth of points), but I still wanted a reason to hang out online with some of my City of Heroes friends. So we needed to find a game we could all play. First challenge: City of Heroes was unique in allowing 8-person non-raid teams. The standard was 4-5, with 6 max. That meant that all 8 of my regular Sunday Night crew could not play the same thing at the same time anymore. On the other hand, it also meant we really only needed to find something that six of us could and would play, and we'd regretfully say goodbye to the other two. Second challenge: Some of us were Mac users, some PC, and a few ran their own Linux boxes. So, yeah, compatibility issues galore. Third challenge: We were brought together by a shared love of superhero gaming, and there were really only two other superhero MMOs at the time, neither of which had a Mac port, much less were something that could run reasonably under Linux. Fourth challenge: There was no way in hell we were going to play any other NCSoft game, so even though Wildstar (seen as the replacement for City of Heroes) actually met the rest of our needs, fie on that. Kept going on about bears. Still, we had three months' warning, and with a few months to go before the end, we'd found one we could all manage: Lord of the Rings Online. The team size was 6, but a couple people really didn't want to do non-superhero, so that worked okay. It had a Mac client, and the Linux people were able to get the game to work one way or the other (since the Mac client was really just a Vine wrapper, it was relatively easy to adapt it). And we all did have the default "read Tolkien as kids" thing, so okay. That lasted a couple of years. Not being able to fly over arbitrary obstacles was annoying, but things were otherwise sufficiently superhero-y for our tastes, we got to share jokes about the poor decision-making of Dwarves, try to ride horses up on top of houses, and so forth. Eventually a couple of the regulars drifted off, reducing us to four or five, but that was still fine for most stuff. It was a richly detailed world, and those in the group (like me) who did a lot of soloing during the week found plenty of stuff to keep our interest. Then, a while after I'd started running solo characters up against the level cap, the group as a whole made it into the plains of Rohan, and it started to fall apart. Suddenly, half the content was stuck inside solo-only instances, so we'd have to split the team two or three times a session. The support-character player would always get bogged down in the instances, leaving the rest of us hanging around the entrance killing random stuff while we waited. And it only got worse. By the time the content expansions reached Gondor, it was almost exclusively solo questing with story, or 16 person raids. There was very little for a 4-player team to do other than roll new characters and go through the old content again. And unlike City of Heroes, where you could meaningfully make up 150 distinct characters and have fun doing the same content over and over, Lord of the Rings Online really didn't provide more than a dozen or so possibilities (and you couldn't even have 150 total characters anyway...City of Heroes was weird in its high roster cap too). So, we eventually let our subscriptions lapse and went looking for something else. A few of us tried out games as scouts...D&D Online was considered, as it was the same company as Lord of the Rings (Turbine) and offered a similar play experience at the time, but it didn't grab us and there was some resentment over the fact that we couldn't use the Turbine Points we had left over on LotRO over in D&DO, so we passed. We also checked out Star Trek Online, but the mandatory ship combat phases in the storyline missions ill-suited the non-twitch players, and the "Hollywood Back Lot" nature of several of the planets in terms of limited size disappointed us (I did play it for a while myself after we picked our next game, but then they ditched their Mac client). Having run out of viable Mac-client games, I bit the bullet and got Parallels, a program that lets you install Windows on a partition of a Mac. Our next game was Star Wars: the Old Republic, set 1000 years before the movies and yet having tech and decor strangely like that in the movies. By this time we'd definitely solidified into a group of just four players, so the four player team size was not a problem. No flying, but enough "super powers" to satisfy our phantom City of Heroes itches. And, as with LotRO, we were all fans of the property to at least some extent, and the game was mature enough by the time we found it that there was plenty to do for the soloists in the group (I eventually got someone from all 8 classes through the class storyline, qualifying for "Legendary" status). The important thing to note about all three of these games, as well as the few I only played for a couple of weeks, is that they used "standard MMO controls". That means that your cursor is really just there for clicking on objectives or rearranging inventory, etc. You can click on something to target it, or just hit the tab key until your desired target shows up, and then you're locked onto it. This makes things really easy for "non-twitch" gamers like my group (all of us over 40 and not keen on doing a lot of training to remap our reflexes). Very rarely is it important to be able to quickly click on a specific location on the screen, most of the work of combat is done by the keyboard, at most moving using the mouse (or trackball, in my case). Some games let you shoot behind you, others ignore attack commands if your character isn't at least sort of facing the target, but the key is that it's very forgiving. At worst, you just needed to keep the target on your screen somewhere, rather than under a targeting reticle like in more arcade-like twitch games. I'm not very twitch, I couldn't make it through the Team Fortress 2 tutorial because I couldn't target stuff with the reticle...and that's supposed to be a really easy tutorial. Now, during the time we were playing LotRO, the City of Titans Kickstarter happened, and we all pledged, hoping that someday soon we could return to something like City of Heroes. I followed the updates, but didn't pay a lot of attention...I knew that the real development cycle on an MMO was measured in years rather than months, so I was caught by surprise to find out that I knew several of the development team, including the project lead: Warcabbit. I was convinced to come on board to maybe do a little writing and help the game system designer get things worked out, since we'd worked together before on tabletop RPGs. One thing led to another, and I found myself in charge of the game system, oops. I've never been much of a coder, but that wasn't my role. My role was the algorithmic level, the rules that the computer would interpret. Since it would be rolling dice at GigaHertz speeds, I could use systems that would be stupidly complex if implemented on a tabletop game, and I got more help from a fellow Physics PhD who was even deeper into statistics than I was, and who could run simulations of minmaxing and broken edge cases before we had to write a single line of combat code. City of Titans was no longer some distant project I wished well and had dropped some money into the pot to help along, I had a part in making it work. And I'll talk more about that once we get closer to release date. But back to my wanderings in the MMO wilderness. I was now even more acutely aware that City of Titans was going to be years in the future, and I started to notice the same sort of thing happening in Star Wars as I had in Lord of the Rings. The new higher level content was increasingly a mix of solo instances and large raids. There was very little new material for four-player teams, we'd just end up listening to background noises over Skype while playing our individual games. And as with LotRO, there was a span of several months between the soloists noticing the problem and the team-characters catching up to it. It's one thing to have an Endgame Grind, but they were introducing new content that was no fun at all four our size of team, it wasn't even really endgame. With the Fallen Empire expansion, it became Massively Singleplayer Online, Plus Raids. game where you can't fly. I decided to test out The Secret World, which a few of my City of Heroes friends had moved to back in late 2012. It's horror, but superhero horror, and the PCs are frequently referred to by NPCs as superheroes. My first try ended just outside the tutorial, though...the game code checked for a graphics card, and Macs don't have a dedicated separate card. So the game would just freeze up once in the open world for more than a minute or two. My Mac couldn't handle it, despite being a fairly new machine (about a year and a half old at the time). Okay, not as much of a non-sequitur as it sounds. One thing I'd decided during my years of moving around (I had a series of one-year positions at various schools in various states) was to avoid getting too much furniture. It's intrinsically harder to move than boxes of books or toys. But in 2016 I decided I was going to be in Amarillo for the long haul, and I bought a house. That meant that I didn't expect to do any more moving any time soon, and I could buy more furniture. Like, oh, a second computer desk. And a second computer, a PC configured just for gaming. And it ran Star Wars a LOT better than my RAM-limited Mac, that was for sure. And it also ran Secret World just fine, so we decided to switch to that once we'd all gotten through the pre-Fallen Empire stuff as a group. awareness. Even City of Heroes had started introducing the idea of "This is a bad place to be in a few seconds, you might want to move" boss moves to encourage people to do more than just stand in one place and pew pew pew at the boss. But Secret World took it up several notches from our previous experiences. Even low level mooks could have area attacks you wanted to get out of the way of. So, while we could still get away with tabbed targeting, it got more important to learn how to move around, helping me slowly develop slightly more "twitch" skills. Dvandom, aka Dave Van Domelen, is an Assistant Professor of Physical Science at Amarillo College, maintainer of one of the two longest-running Transformers fansites in existence (neither he nor Ben Yee is entirely sure who was first), long time online reviewer of comics, Mac user since 1995, occasional science advisor in fiction, and part of the development team for the upcoming City of Titans MMO.